A coloured honeycomb from a beehive is seen in Ribeauville near Colmar Eastern France, October 5, 2012. 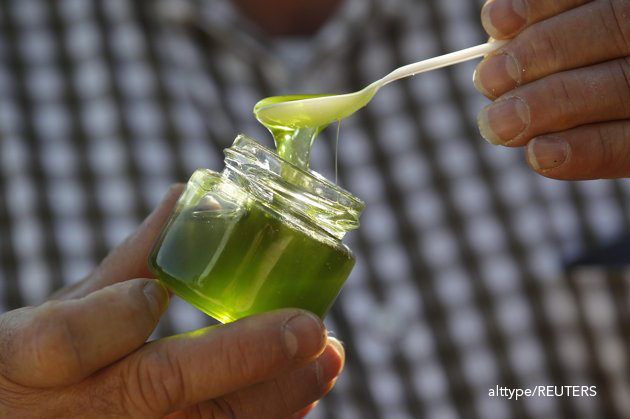 Bees at a cluster of bee hives in northeastern France have been producing honey in mysterious shades of blue and green, alarming their keepers who now believe residue from containers of M&M’s candy processed at a nearby biogas plant is the cause. 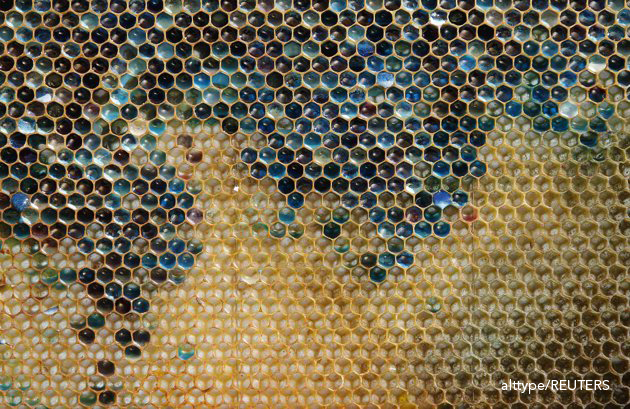 Since August, beekeepers around the town of Ribeauville in the region of Alsace have seen bees returning to their hives carrying unidentified colourful substances that have turned their honey unnatural shades. This entry was posted in Reuters Pictures and tagged alt.TYPE, alttype, Editorial, Environment, Green colored honey, Oddly, Reuters on October 22, 2012 by alt.TYPE.